Noahpinion: Carbon taxes won't work. Here's what will. Carbon taxes won't work. Here's what will. Carbon taxes are not going to work. Instead of one simple overwhelming reason for thinking this, I have a number of reasons that all pile themselves into a mountain of evidence. In no particular order, here they are. 1. Carbon taxes are politically infeasible in the U.S. A few people have tried to introduce carbon tax bills. There has been essentially no interest. This may be because there is no concentrated special-interest constituency for carbon taxes (the Pigou Club notwithstanding), or because politicians instinctively realize the existence of some of the other reasons I'm going to cite. Also note that the more well-known, Obama-supported "cap-and-trade" idea also went nowhere fast. I cited this reason first because it's the weakest; political infeasibility should not stop economists and other intellectuals from recommending the right policy. 2. Global carbon taxes present a basically insoluble coordination problem. 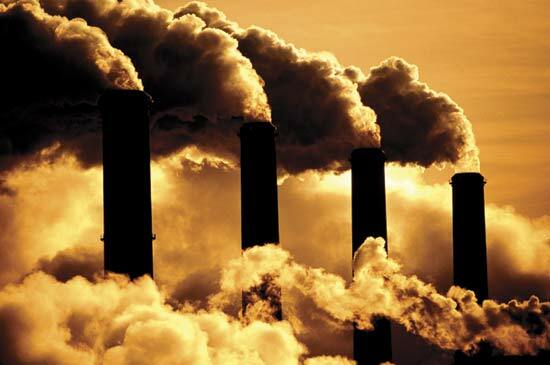 The U.S. emits about 1/6 of global carbon emissions. Cut U.S. emissions by 30% (a huge cut) and you cut global emissions by 5%; not enough to make a dent in global warming. Now realize that China, which now emits about 1/4 of global carbon emissions, has now twice scuttled international efforts to coordinate a reduction in carbon emissions (first at Copenhagen and then at Durban). How about Europe and Japan and Russia and Canada? Well, they agreed to carbon restrictions at Kyoto, and then promptly broke their quotas and went right on increasing their emissions. Coordination problems are really really hard. 3. Carbon taxes are undermined by free trade. If you put a tax on carbon-emitting activity in the U.S., it'll raise the domestic price of (for example) coal. This will provide an incentive for U.S. coal miners to export their coal to other countries, especially China, as they are now trying to do. It will also provide an incentive for Americans to buy more imports from countries where it is still cheap to burn coal (e.g. China). In other words, if you tax the burning of American coal by American companies, you will increase the burning of American coal by Chinese companies, and the de facto burning of Chinese coal by American consumers. These effects will not completely cancel out the effect of a U.S. carbon tax, but they will work against it substantially. The only way to stop this would be to tax both carbon exports and the implied carbon content of imports. This would lead to big rises in tariffs. It is hard to imagine the Pigou Club, most of whose members support free trade, uniting around the import/export tariffs needed to make a U.S. carbon tax work. 4. The economic costs of carbon taxes are very hard to estimate. Pigovian taxes work by balancing the benefit of the tax with the costs. The cost of a carbon tax is the economic activity that is curtailed by the tax. But this is very hard to measure. Taxing carbon would tax driving, which would make commuting much harder for a lot of the Americans who have chosen to live in suburbs. A big carbon tax could conceivably make those suburbs economically unviable, through agglomeration effects, requiring much of the country to completely overhaul its physical infrastructure. Those agglomeration effects are very hard to predict, and might be very large. And I almost never see economists thinking about agglomeration, urban, or spatial effects or taking them into account. Now I must admit that this reason is slightly disingenuous, since I think the benefits of higher density are massively unappreciated, and that it would be a good thing for us to dismantle much of the far-flung exurbs and replace them with walkable neighborhoods accessible by public transit. But I think that once the members of the Pigou Club start seriously thinking about the infrastructure costs associated with taxing driving, they will be less sure of their case. 5. Carbon taxes can be revoked in the future. When it comes to global warming, what matters is the total amount of carbon in the atmosphere, not the rate of emissions. Carbon stays in the atmosphere for anywhere from decades to centuries, and maybe even a lot longer than that. If a carbon tax passes at a time when the harm is relatively small, but is revoked as soon as fossil fuel prices go up (due to increasing extraction costs, i.e. "peak oil" and "peak coal"), the total effect of the carbon tax will be close to zero. And I think there is ample evidence that carbon taxes would be revoked as soon as voters started feeling pain at the pump, since "cut gas taxes" is the first thing you hear politicians saying when gas prices go up. 6. A little bit of emissions reduction is barely better than none at all. As mentioned in the previous point, carbon stays in the atmosphere a long time. What this means is that to work, carbon taxes have to reduce emissions a lot; for you nerds out there, the benefit of emissions reductions is highly convex in the amount of reduction. When it comes to carbon, a little bit of reduction is essentially no better than none at all. And I think the previous 4 reasons are sufficient to show that a U.S. carbon tax would only reduce global emissions by a little. There you have it: no single deal-breaker, but an accumulated weight of reasons to think that a carbon tax won't have any significant impact on global warming. The Pigou Club is a good bunch and their idea is a good try, but it just won't be enough. So what do we do? Throw our hands up in despair and hope that global warming won't be as bad as many fear? No. I think that there is something our government can do to make a huge dent in carbon emissions, in a relatively short time frame. The International Energy Agency reports that America's carbon dioxide emissions have fallen by 450 million tons in the past five years. That is a drop of about 7.5% - not a slowing in the growth of emissions, but an absolute decrease. It's a big, big drop. Bigger, in fact, than any other country experienced over the same time period. What caused this huge drop? Natural gas. Because of the shale gas boom, America has been switching from coal power to gas power, and gas emits less carbon for a given amount of energy. Now, this is only a partial solution, since gas does emit carbon, and since there's not enough gas in the world for every country to make this shift. But what it shows is that when there is a low-carbon technology available that is cheaper than a high-carbon technology, an economy will rapidly switch to the low-carbon technology, and emissions will plummet quite rapidly. And this will happen without any sort of carbon tax, cap-and-trade-system, or other emissions-limiting policy. So the way for the U.S. government to beat global warming is this: Subsidize research into low-carbon energy sources. For electricity generation, this essentially means solar power. Solar costs have been falling exponentially, and even without a method to store solar energy during the night, solar is already cheap enough (with not-very-large subsidies) to replace much of fossil fuel power during the daylight hours. Government money for research and development will accelerate this process. This means both basic research (which the government, in particular the military, does far better than anybody) for breakthrough technologies, but even more importantly, it means subsidies for solar companies that make the minor, incremental improvements that add up over time, driving costs steadily down. These subsidies should be seen not as government acting as a venture capitalist - most of the supported companies will eventually fail - but as government subsidizing the kind of incremental research that is not best accomplished by Defense Department grants. Research is a public good. The day that solar becomes cheaper than coal will be the day that China and India start mothballing their coal mines and throwing up solar factories. Yes, this means that the U.S. will be subsidizing the rest of the world. Yes, it means that cheap Chinese and Indian competition will put a lot of our own solar companies out of business (as it is doing already). But it is worth it. Since there exists no global government, the only hope of stopping global warming is for one national government to kill the problem all by itself. Saving the climate (and reducing energy costs in the process!) will be worth a whole lot of Solyndras. So at this point some of you may be reading this and saying "Wait a second. Noah Smith wants us to ignore a policy (carbon taxes) that is supported both by clear, simple economic theory and by some of the most eminent economists in the world from both sides of the political spectrum, and instead throw heaps of taxpayers' money at a bunch of companies that we know are going to fail?" And I say: Yes. That is exactly what I want. That may sound crazy to you, but everyone is entitled to one or two crazy beliefs, aren't they? Update: Miles points out that global warming is not the only reason to reduce fossil fuel use; it is also useful in reducing the price of oil that petrostates like Iran receive. That's a topic for another post, but I'm not sure spiking Iran's economy is worth the sacrifices it would take to unilaterally bring down the world oil price through a reduction in U.S. demand (besides, a petroleum tax would be more effective for this purpose than a general carbon tax). Miles does, however, say "I second [Noah] in advocating scientific research as the most effective way to address global warming." Yay! Update 2: Via commenter Amy, here is a Daron Acemoglu working paper that basically says the same thing I'm saying in this post. Yay! Update 3: In fact, there is a precedent for government doing exactly the kind of R&D effort that I'm advocating here. The technology? Fracking, which produced the current shale gas boom. The potential payoff for solar is ever greater than shale gas (since solar never runs out and produces zero carbon), so if there's any energy technology the government helps to improve, it should be solar. Shorter Noah: technology beats politics. Every time. Well, count me in as a supporter. "A big carbon tax could conceivably make those suburbs economically unviable..."
I first read this as "make those suburbs economically *inviolable* ..."
And that is effectively your argument: because suburbs are politically inviolable, we don't have the option of making them economically unviable. "The American way of life is non-negotiable"
Who adminsters membership in the Pigou club and how do I get in? Noah, you've just reinvented the Breakthrough Institute. But I think your arguments don't apply to the best approach, which is (1) setting a hard cap on fossil fuels entering the economy by either trade or extraction, (2) auctioning the permits and (3) returning the proceeds to the public, ideally on a per capita basis. As you know, there’s a small army out there pushing this plan, researching it, dressing it up, etc. As for your points: (1) is what it is, the hump we have to get over, but we’ll have a much better chance if we go the auction-permit-rebate route. (See my “Obama oil speech” from last March.) (2) is a collective action problem but not a coordination problem. We need every major country to step forward, but they don’t have to do it in the same way as long as they get it done. US intransigence has had a depressing effect on climate policy worldwide, but we won’t know how much we’re responsible until we change our tune. (3) The WTO has already indicated that border taxes to enforce a carbon regime would be OK. (There’s a lit on this in the law journals.) Free traders should not complain, since failure to account for the cost of carbon is a subsidy, right? (4) Well, yeah. And it’s hard to estimate the cost of a climate catastrophe. And? (5) and (6) are simply mysterious to me. We shouldn’t act now because we can’t prevent our future selves from undoing our acts, and because there’s a threshold for being effective. These don’t sound like arguments. I don't think your proposed plan really affects my arguments. 2) is a collective action problem but not a coordination problem. US intransigence has had a depressing effect on climate policy worldwide, but we won’t know how much we’re responsible until we change our tune. China's the main one being intransigent, see my links. It's a whole new world from back when we did Kyoto. Free traders should not complain, since failure to account for the cost of carbon is a subsidy, right? (5) and (6) are simply mysterious to me. We shouldn’t act now because we can’t prevent our future selves from undoing our acts, and because there’s a threshold for being effective. Look, a carbon tax wouldn't be BAD, that's not my point. It's just going to be ineffective. We should act now, but the policy that will work is to subsidize research to lower solar power costs. The technologies may not become sufficiently low cost in enough applications to displace fossil fuels. They just have to displace a substantial amount. And there are good reasons to think solar can be cheaper than coal. The fuel substitution solution is too narrowly defined. I actually think this is not true. R&D is also expensive. The public will resist it, especially if energy costs are low and they see no personal need to make these changes. Politically, the sequence simply has to be, raise the price of fossil fuels first and then sell the investment program. I doubt it. Fossil fuel costs have already gone way up. The investment program will create jobs in the short run and lower costs in the long run with minimal changes to our infrastructure in the meantime. Some people won't go for it, but most will. corollary to 1a: Special interest are all over any carbon tax or cap and trade scheme. For example, most schemes I've seen exempt farms. ahem, cows are a big source of methane. God forbid meat should be more expensive. Isn't this just appealing to the magic technology wand that you poo-poo in other areas? No. Now I'm talking about specific technologies. What I pooh-poohed was labeling the part of the economy we can't explain "aggregate technology" and then pretending we can predict how that works. That turns out not to be the case -- think like an economist! The causes are (1) the Solow residual and (2) Supply and Demand, with a soupçon of flavouring from (3) regulation. 1. Energy intensity has been declining at a rate of about 1% a year for a long time. If growth is below that, the decline shows up as a fall. 2a. The price of oil essentially quadrupled between 2002 and 2008, and it has stayed high ever since, except for the Oh-my-God-we're-all-gonna-die period. The US now uses 16-ish million barrels of oil (loosely defined) compared to nearly 19 million at the peak. 2b. Real incomes are declining so demand for pretty much everything, including electricity, is down. 3. Regulations passed a long time ago governing mercury emissions have recently come into effect. Rather than retrofit small old summer-use coal power stations with scrubbers, utilities have elected to close some down (declining demand, remember). They have replaced others with NG plants because these plants only run intermittently and NG plants have by far the lowest capital cost. So: an accident of timing. Incidentally, balance-of-system (everything besides the panels) now dominates the cost of new solar installations, and the technology fairy cannot wave this away with her wand. Ah, but the U.S. reduced emissions a lot more than Europe, who's economy has done worse than ours! And most of our emissions reduction has been from burning less coal, not from burning less oil (although we have been driving slightly less). Fine, the US is burning less coal. Give primacy to regulation if you want: it worked in this case. I'm all for more regulation - let's ban coal mining! James Hansen thinks we really really have to, urgently, and he's an expert on the consequences. Europe has deliberately kept its energy prices high for decades, so there is less fat to trim. Regulation played a (silly) role too: the closure of Germany's nuclear power stations reduced its electricity exports to its neighbours, who were forced to use fossil-fuel generators instead. Europe is a weak benchmark. Globally, closing a nuclear plant means generating that electricity from fossil fuels. If you want more R&D, nuclear fission is the industry for it. Several alternatives to current technologies show quite a bit of promise. Is a massive spend-up on nuclear R&D more politically feasible than carbon taxes? I don't know. What makes you think that massive energy research/learning by doing subsidies are politically viable? Doesn't the GOP kill this proposal just as dead as a carbon tax? Well, for one thing, a good deal of it can be done by the executive branch, including the Dept. of Defense. Also, I think fewer special interest groups will resist it and more special interest groups will support it. I think that policies are more feasible when support is concentrated and opposition is diffuse. 1. Create a CAFE for power companies, basically specifying that newly installed eletrical plants over each 5-year period must have some maximum lbs CO2 per kWh, and the target drops every 5 years until it reaches zero. 2. Eliminate oil subsidies, use the money to "do whatever it takes" to get the country off oil. Or a "Manhattan project" to make oil unnecessary. This would provide a lot of public and private money for research, it will over time weaken the special interests that would oppose further action, and promising to spend money to make sure the next generation doesn't have to deal with rising gas prices will be a much easier sale than promising to make gas prices rise even further so that we'll really really hate our trips to the gas station and will want an alternative more badly. Great post, Noah, I've often thought about how cap and trade/Pigouvian taxation would be largely ineffective since emissions can just be "exported." "Using hydraulic fracturing to extract gas from shale rock is bound to cause some methane to leak out. And methane is a potent heat-trapping gas when it escapes into the air, about 21 times as powerful as carbon dioxide. Some of this methane seeps out from underground wells. Some of it gets purposefully flared off or vented by the drillers. And some of it wafts out of loosely fitted distribution pipes. If enough of this methane escapes, then natural gas could, conceivably, cause as much global warming as coal does." But I suppose that's more of a matter of proper regulation than anything else. Keep up the great blogging. The relationship between methane and CO2 is somewhat misunderstood. Yes, Methane is a stronger greenhouse gas than CO2, but its residence time in the atmosphere is only about 10 years, after which it decomposes to CO2, and it is at much, much lower concentrations (parts-per-billion, not parts-per-million). So a continuous elevated methane level could have short-term impacts as bad as coal, but does not have near the long-term impact. Elevated methane levels could be largely reversed in a decade, but CO2 is forever (or at least the next 10,000 years). By the same argument, we should never try to build another Hudson River crossing, because some fool decided it was politically expedient to torpedo the last one. China isn't stupid... if you frame it for them so it's in their self-interest and not overly discriminatory since they're at a highly polluting and energy intensive stage of development, and a requirement of participating in the global trade system then they will go along. Oh, so it's just a matter of framing, is it? We just haven't used the right language with China? Once we point out to them that it's in their own self-interest - something that they never could have or would have thought of on their own had we not been gracious enough to remark on the fact - they'll just turn around and reverse national policy, eh? Sorry, CurmudgeonlyTroll, but you have met your match. I am even more of a curmudgeonly troll than you! Well, why do you think they scuttled the agreement? Clearly they viewed it as not in their interest. It's not like they had a brain-dead domestic political reason, like Christie getting a national reputation as a cost-cutting fiscal hero while NJ's GDP drops. Is reducing CO2 globally optimal? Then there is some set of tradeoffs that will make it locally optimal for China. How's is it a different problem vs building a Hudson crossing? It's something that benefits both sides, but if one side feels like it's paying an unfair price, or one that doesn't match the costs, it will opt out. BTW for your amusement, some pictures of pollution in Pittsburgh, and child miners in the US not so long ago... There came a point in the US's development when people decided to do something about it... do you think you proved that China will never want to do anything about it? It will lead you to a study that looked for economically based means of reducing greenhouse gas emissions. The only solution that would leave relatively inexpensive C fuel in the ground was to tax it. This was not a political or policy document; It was driven by relatively simplistic economics with math that looks and acts like optimization. I was involved with the folks who generated the report and have a relatively pessimistic view on future levels of CO2. I agree that it seems very unlikely that taxes would work, and IF they did, they would have to be global. The US no longer is in control of CO2 levels and the odds are that we will not even be in the top 3 by 2100. The Report I have pointed you to was pretty optimistic about technology, but did not invoke miracles. We have been driving our global economies by burning C for a few centuries and still have at least 100-200 years of recoverable C left. I strongly recommend that we do all we can about alternative/low C energy development, but also start to focus on adaptation. I would also recommend that we focus a little more on the potential economic disasters right down the road. CO2 forced climate change is a long term problem that will certainly outlive me and most probably you and your readers. Regarding 2, 5, and 6, pace does matter. The slower we build up CO2, the more time we have to come up with a better solution. 3 can be applied to many more areas. Should we eliminate workplace safety rules, minimum wage requirements, or other environmental regulations? Without tariffs, these shift economic activity overseas as well. Maybe it's because I live somewhere that's dark half the year and grey the rest, but I wonder if putting all your eggs in the solar basket is wise. Do they serve Pegu Club cocktails at the Pigou Club meetings? 3. Carbon taxes are undermined by free trade. So much the worse for free trade. Seriously, you could gather support for a carbon tax/tariff from unlikely sources if it was framed as an anti-import (anti-China) policy. This goes back to point 1. However, these might be people you wouldn't normally associate with but that is politics. For the sake of reduced carbon emissions you are willing for people to sacrifice things they care about (suburban life style, current income to finance research, economic growth). Is free trade sacrosanct? Which products are these? Comparing top US manufactured exports and top China manufactured exports the only overlap I see with possible high carbon footprint products is non-electronic machinery and chemicals but perhaps I'm missing something. Does the effect of a prospective carbon tax make the difference in sales as opposed to other costs and factors? This would need a detail study. The difference between a tax, an auction scheme for permits, or cap and trade is primarily a difference in the underlying assumption about who owns the right to emit CO2. If we could produce unlimited power for about 10 cents per kilowatt hour then the whole world can live in comfort and plenty. If the incremental cost of power is a dollar a kilowatt hour then the global future is probably fairly grim. We need serious research into energy sources and efficiencies in use. For example, more efficient air conditioners could be a big deal. The research should not be limited to solar energy production. The recent success of the Regional Greenhouse Gas Initiative (RGGI) seems to suggest that cap & trade may both reduce carbon emissions and add economic value. Noah- I enjoyed your post (and your name), but it disregards the most recent climate science, and I think it's a mistake to simply consider climate change a "long-term" problem that we can take our time solving. Consider the possibility that the situation is more dire than you realize. For example (an exaggerated example to make a point), what if there were a 20% probability that we could pass a tipping point in the next couple decades that would lead to runaway warming (via melting of permafrost or other means) and the collapse of the global economy? Would you still advocate for R&D spending only? Or more severe measures such as a high carbon tax or command and control? My point is that the "correct" policy depends very much on the extent and the timeframe of the damages. I agree with some of the premises but the underlying logic is a bit flawed, while a carbon tax would not solve all the problems it would give a boost to some solutions through a market pricing mechanism of carbon. Not only that but the idea that companies would just move factors to other countries in import them to get away from the carbon tax would be a problem for some companies, but the largest ones that a carbon tax would be aimed at (Energy Sector) this would not be plausible for several reasons 1)Transferring Power planets is not a short term possibility and given the large investment by the private sector those companies would not be able to take a massive loss on there balance sheets( I think you make a mistake of assuming that they could easily move to other countries)2) It would increase cost by such any extreme to distribute power extremely long distances that any savings by not having to pay the Carbon tax would be offset by an increase in waste through power lines. Another point, would be that while reducing CO2 is one of the purposes of a carbon tax it is by no means the only reason, there are large externalities that are not being paid for in the current pricing mechanism that a carbon tax would help address, such as acid rain and mercury and the negitive health effects of pollution. Now I agree that this is not a silver bullet by any stretch of the imagination but it would be part of a solution, and possible help finance both the private sector ( by making coal and oil more expensive this would create an incentive to research and develop alternative energies such as Solar, Wind, Geothermal, ect). The public sector would be able to finance these using the money gained from the carbon tax. So yes not a full solution, but there are other reasons to institute a carbon tax. "Via commenter Amy, here is a Daron Acemoglu working paper that basically says the same thing I'm saying in this post. Yay!" involves both carbon taxes and research subsidies, so that excessive use of carbon taxes is avoided;"
Seems much closer to Miles' view than yours. Also the paper makes a point to say that carbon taxes could work alone, but they just involve excessive distortions. One of the key insights that they discuss that is missing from your post is that the carbon tax speeds the transition from the old/dirty technology to the new/clean technology. You want to throw money at low carbon technologies, but see no reason to handicap high carbon technologies. An optimal policy does both. I don’t think your politics argument is cogent because you’re looking at it statically. No carbon tax might be a political equilibrium right now but that’s not to say that can’t be changed. I mean hell, if you accept the status quo even when you disagree with it of course nothing will change! I’m not sure about this but couldn’t there be a justification for carbon tax independently on it’s impact on emissions on the basis of economic gains from replacing other taxes with an carbon tax (similar to the debate about consumption taxes)? Generally, you have good insights, especially because a carbon tax is too complex. Second, research should be aimed at cheap remediation, not cheap alternative energy. America emits 4x more carbon per head than Europe or China, and it was certainly not less effective than China in scuttling international coordination. But America being what it is, one day it will probably decide that Global Warming is a cause worth fighting, and it will then ridicule what Europe could have achieved by then. Pigou taxes are not likely to happen soon, but they should not be ruled out in the long run. Besides, Pigou taxes are not only tools for pricing externalities, they are also taxes, just like VAT or income tax. And one way or another, governments need to raise money. Rather than just R&D, the gov't should be spending some amount of money in directly installing solar panels for power to gov't buildings. For instance, covering current parking lots with solar panels. Part of this process should also include publicizing the real costs of the installation, and maintenance, as well as the actual amount of delivered electricity. Such actual numbers would help decision makers by publicizing results. For many businesses, a long term reliable customer is more important than a start up grant. In another view, with the collapse of Greece and issues with the euro so current, why do you think that human-caused global warming is a bigger problem than excess government spending? The obvious ways to make carbon or gas taxes more politically viable would be to reduce overall taxes, which requires reduction in other gov't spending. Of course it's more fun to spend, especially Other People's Money (especially if they are intellectually or morally inferior!) (oh wait, we can't mention that, just internalize it) -- but are you serious about solving problems? There is a real, current problem with excess gov't spending. In the next 10 years, as more boomers retire and health costs continue to rise, the problems in the US and Europe are going to get worse. Will a military coup in Greece convince you that gov't spending reductions is more important? More nuclear fission has already been mentioned, but if the CO2 problem isn't bad enough to argue for more nukes, now, than it's not so bad. Finally, other out of the box idea -- why not plant more trees? Especially in Haiti. You really should forgo from using the term, "global warming" and instead use "climate change." Why? Well, because as the Earth is warming in some places, it is cooling in others. This is what republicans latch onto as "evidence" against climate change. So really, the climate is changing, not just warming. It's just changing more than it should--that is, ways that are dangerous. For many reasons. So not only is it technically incorrect, but it's also dangerous and feeds into climate-denier claims. Agreed -- this was an awful post. #1 & #5 are not reasons why carbon taxes are a bad idea. In any case, it's posts such as yours which make this difficult... And any law can be revoked in the future. Why is this an argument against carbon taxes specifically? High-skilled immigration reform also can't pass the House. Is that an effective argument against it? #2 the US has the worst energy usage numbers of any rich country. The best solution to the tragedy of the commons is not to let the animals eat all of the grass. #6 is just frustratingly wrong-headed logic. If we lowered taxes on working and traded for taxes on carbon, would you be more of a fan? After all, this would encourage production in all businesses at the same time it would dissuade carbon-intensive businesses. And any law can be revoked in the future. Why is this an argument against carbon taxes specifically? High-skilled immigration reform also can't pass the House. Is that an effective argument against it? Actually, glad you asked. Here is a post where I explain why carbon taxes are much more vulnerable to this problem, since total carbon levels, rather than the rate of emissions, are what counts. Check it out. So what? The climate doesn't care who's rich and who's poor. If China kills the planet to get rich, it might be fair, but we're just as dead. The best solution to the tragedy of the commons is not to let the animals eat all of the grass. That is a line that sounds smart, but upon closer examination is utterly vacuous. Oh, wow, I see your point! If we lowered taxes on working and traded for taxes on carbon, would you be more of a fan? Hey, I am all for carbon taxes! I never said they're a bad thing! I just said they won't put any dent at all in global warming. Big difference. False dichotomies everywhere. If you spout this breakthrough technology/ R&D, bright green stuff at least sight the Breakthrough Institute, whom you almost certainly got most of your talking points from. Your viewpoint seems to grossly underestimate the percentage chance that the global carbon cycle reaches a tipping point that leads to uncontrolled increases in atmospheric CO2. It seems fairly probable that reaching the 500-550 ppm level will lead to irreversible territory for the climate system, barring Geo-egineering. IMO, a hard cap to prevent attaining 500-550ppm, unparalleled R&D investment in renewables and nuclear, as well as local mitigation is about the only policy option that will *maybe* produce a politically manageable situation come 2100-2200. No idea why you chose to frame the issue like it's a big secret that carbon taxes aren't politically feasible and we need to subsidize low-carbon tech as part of any real climate policy. Actually, if you read my post again, you'll see that I'm saying that the chance of just such a catastrophe is exactly why carbon taxes won't work. As the main argument is between the people who want to do nothing, and the people who want to do something, it seems a waste of time to haver about the perfect thing to do. The important thing is to make a start - doing nothing, as is advocated, is the worse policy of all. There is an old political adage that a bad policy can be quickly changed. So do both - put the carbon tax revenue into R&D, or pass a reveneue-neutral carbon tax, and subsidise R&D from other taxes. Noah - great post, these things needed to be said. Here's a simple exercise: take plausible estimates of the amount of gasoline an average person consumes, the own price elasticity of demand, and the marginal damage per gallon of gas consumed. Then do a back of the envelope calculation of amount of extra taxes a person pays if a carbon tax is imposed, and the expected reduction in environmental damage. The calculation will show that reduction in environmental damage relative to the taxes collected is pretty small. And that, in a nutshell, is why people don't like carbon taxes. Sure one can say 'but the carbon taxes can be offset by reductions in tax X, Y or Z' - yes, in aggregate one can make a carbon tax revenue neutral, but it's hard to do it on a person by person basis. Having said all of that, in Vancouver the combination of carbon taxes + high gasoline prices + good public transit means that the demand for cars is so low that new condos are being built with far fewer parking spaces that condo units - and other buildings have half-empty parking garages. The calculation will show that reduction in environmental damage relative to the taxes collected is pretty small. Yes. We should forget about taxing carbon and dive in head first into making non-carbon energy sources the number one priority. Haven't we learned our lesson? Too bad for the oil, gas, and coal companies. They have enough to retire themselves and a few of their generations. The alternatives are way overdue.